I am among those who happened to know Dr. Sanjay Kumar Biswas even before he came to the Indian Institute of Science in Bangalore. I was in Kolkata - Calcutta of those days – for some personal work in the National Library for more than a fortnight and Sanjay’s brother Siddhartha used to be there preparing for his GATE examination. One fine morning he spoke to me and asked if I knew Debiprasad Chattopadhyaya. Of course, I had known him for about six or seven years by then and I told him so. In fact, I used to stay with his family whenever I went to Kolkata, as I do even now. But now it is with his daughter Aditi whom Sanjay used to know very intimately. On the evening of the day that Siddhartha spoke to me about Debiprasad and Sanjay in the Library, Sanjay arrived at Debiprasad’s place which was not very far from his own house and we spent more than two hours talking about a hundred things, one of which was that he would soon be going to Bangalore to join the Institute. Margaret , too, was with him that day and she was leaving for Bangalore with Sanjay. I mentioned to Sanjay at Debiprasad’s suggestion a few names of persons he could get into touch with at the Institute: Professor M.A. Sethu Rao, Dr. A.K.N. Reddy. Dr. A.R. Vasudeva Murthy. Sanjay had an acquaintance in Bangalore and the Indian Institute of Science as Professor Debiprasad Sengupta was already at the Institute. Sanjay and Margaret had met Dr. Sengupta in Liverpool when they were still at Birmingham. In fact, Sengupta was a friend of Sanjay’s cousins. During the meeting at Liverpool it was Sengupta who suggested to Sanjay that he should try and join the Indian Institute of Science in Bangalore. Professor Sethu Rao and others were among the first few acquaintances for Sanjay after he joined the Institute, besides Sengupta whom he happened to know from his Birmingham days. We met for a lengthy discussion on umpteen things the very next day after I returned from Kolkata. There was a study circle which used to meet regularly every week at Debiprasad’s place in Kolkata which was what occasioned Sanjay’s meeting with Debiprasad initially. So the mercuric Sanjay wanted to start a similar study circle right away in Bangalore, which we did in no time. Sanjay and Margaret were regular participants while I was the convener. The very first talk at the Circle was by Sanjay on Engels’s “Socialism: Scientific and Utopian.” Many of those who were present at the meeting that day remember the clarity in Sanjay’s presentation and the impression that the talk and the discussion that followed left on them. Our acquaintance which matured through the study circle to begin with lasted till the day of his passing away at a ridiculously young age for somebody who was so dynamic as Sanjay was. His departure was a shock but unfortunately I was not in Bangalore at the time even to join the funeral procession. Almost two months had passed without meeting him and there was to be no more meetings with him. I could only meet Margaret, Shammo and Kristi on my return. 28th April 2013 thus turned out to be a day of disaster for me. Three years earlier I had interviewed him very elaborately for our Kannada Monthly, namely, Hosathu, of which he had been a keen supporter right from its inception. Some of my colleagues were also there during the interview. He had contributed numerous articles for the monthly during its thirteen years of existence before his demise and we may well reproduce some of them in the years to come in memory of Sanjay in the same monthly. The one on J.C. Bose, for example, remains a classic. I really don’t know how many lectures he delivered on J.C. Bose in Bangalore under the auspices of different organizations and institutions. Dr. B.S. Shylaja, Director of the Planetarium, recalls one such lecture that she had attended even now. Not only did Sanjay himself write for the monthly, he got others from the Institute to write for us occasionally. It was through his mediation that we could interview the likes of Dr. C.N.R. Rao, Dr. Roddam Narasimha, Dr. P. Balaram and so on from the Institute for our monthly. Earlier I had the privilege of working with him as fellow-editor of two anthologies of essays by Debiprasad Chattopadhyaya subsequent to the latter’s demise. I had myself collected them from out of the until then unpublished papers of his. The volumes were ‘Musings in Ideology’ and ‘Some Problems of Marxism’. Need it be said that the ideology of Marxism was partly what made Sanjay who he was and what he was? Everyone knows that Sanjay studied at the Kharagpur IIT and then did his Masters in Strathclyde in Scotland and was in his Ph. D. from Birmingham. What many do not know is that he was closely associated with the Communist Party of Great Britain during his days in the U.K. and that he was on intimate terms with George Thomson and his wife in Birmingham. Thomson was a redoubtable scholar in ancient Greek studies and a Marxist of very high repute. He had been asked to quit Cambridge after about two decades of teaching and research there because of his Marxism, they say. In fact, Thomson had been an informal guide to Debiprasad when he was working on his treatise on Lokayata at the British Museum in London. Sanjay was fortunate in knowing both of them and learning from both of them. 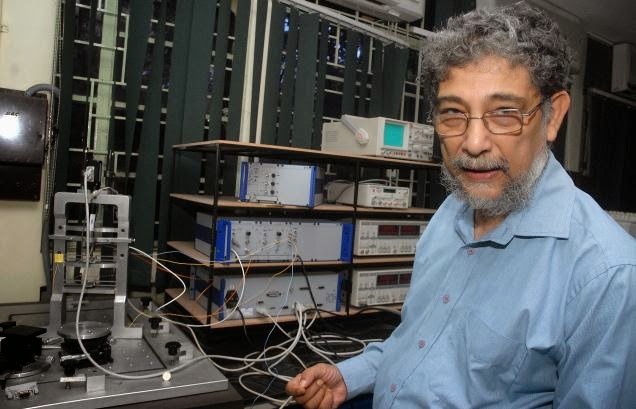 After he joined the Indian Institute of Science, to which I was a frequent visitor for many years because of Sanjay, I used to rag him saying that as a researcher in Tribology his real place was among the tribes somewhere and not at a cosy centre like the Institute. But he was Dean of the department of Mechanical Engineering at the Institute and guided many Ph.D. students, some of them college teachers. I am told that some of his papers published in internationally reputed research journals are of very high quality and that they are often cited by other researchers. But I hardly ever remembered that he was a scholar of that stature while dealing with Sanjay. He was just Sanjay to me like I was just GR to him. When I met Shammo, son of Sanjay, in May he recalled the days when he used to go over to my place to be taught some Sanskrit and I told him that Sanjay was my eternal potential student of Sanskrit. He always set a date for starting the learning process under me but that date never arrived. But the number of hours that we spent together discussing a variety of issues off and on is indeed legion. 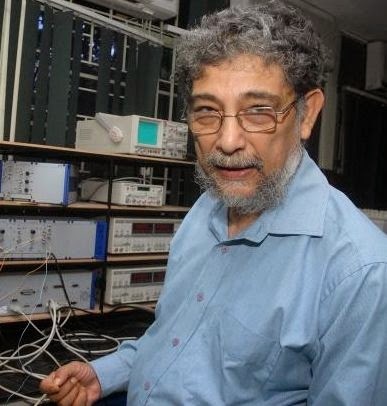 He even published some articles of mine in the monthly Science Bulletin that he had been editing during his early part of the career in Bangalore. During those early days in the 1980’s he developed contacts with a few schools for some extra teaching of science by a few scientists from the Institute. They had volunteered for a job like that. Once a week we used to go to some four or five different schools which had agreed to utilise the services of the volunteering scientists. The programme worked only for a year, but then he later started gathering students from his neighbourhood at his place for what could be termed as science workshops. When he was living in L.I.C. Colony, Rajajinagar, he organized evening classes for literacy at a slum close to where he lived. Volunteers came from the Bank and L.I.C. Trade Unions to teach the adults there. Sanjay would virtually be an ordinary volunteer in matters of organizing such programmes which were dear to his heart. An Engineer and Professor of his stature holding banners on the streets of Bangalore while going in some procession or the other must be a phenomenon hard to witness these days. During the last five or six years of his life he had been constantly on the move throughout the country organizing chapters of the All India Progressive Forum. The forum brought out a number of monographs on topics related to water, electoral reforms, energy sources, environment, health, primary education, and so on, authored by reputed academicians and activists from different parts of the country. Indigenous growth and indigenous research were ideals which he cherished very sincerely and deeply. “People oriented” was his watch word at all times on all matters. He made an attempt in the sphere of health with the active cooperation of the Institute and its Director Dr. P. Balaram during the last few years. His perception was that contemporary researches and their results ought to be of immediate use to the people at large, else what the use of research is, he would say. A partial solution for this, according to him, was for different departments of the Institute to undertake people-oriented research and apply its results in a hospital to be run by the Institute itself. How far the project will be implemented in the days to come will be watched with eagerness by the people. One of Sanjay’s own researches was regarding any possible reduction in fuel consumption in vehicles and machines. Not much is known to the outside world about Sanjay’s work in various committees of the Government of India, especially in the Defence department. He did not naturally talk about that with others much. “Science and Technology for the Masses” and “Science and Technology for Self-reliance” were two mottos that he scrupulously and assiduously worked for.